Lay into your workout backed with a slim fit that wears close to match your every move. CrossFit-specific darts build in extra mobility. Plus, as you put your legs and lungs to the test, the tie-front closure cinches for a super secure fit. You're not afraid of a little sweat and moisture. 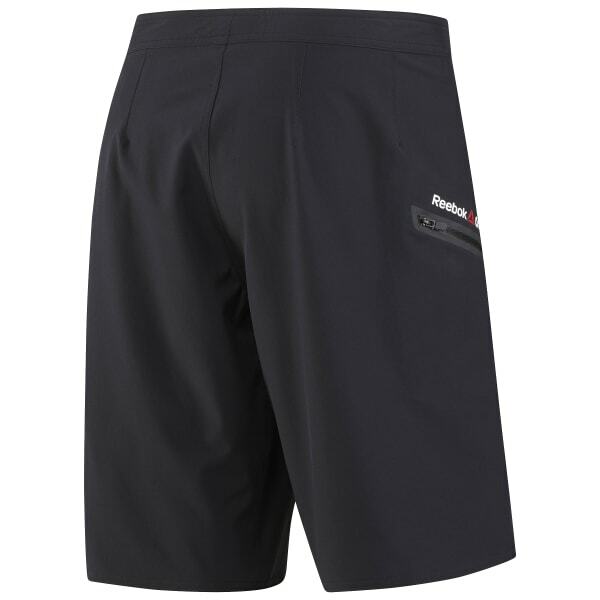 The Durable Water Repellant finish gives these shorts the extra protection against the elements you crave for your versatile workout needs.